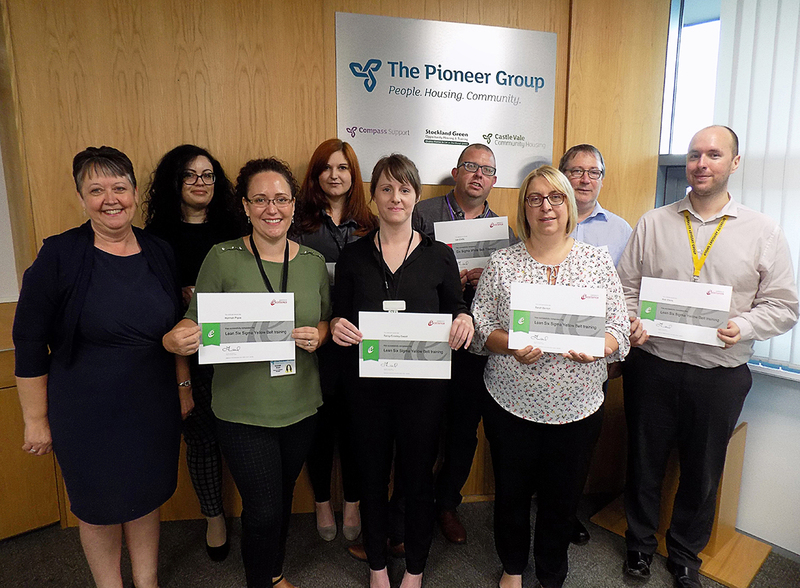 Employees of The Pioneer Group have completed a key training programme as they strive to enhance efficiency and meet community needs. Eighteen staff members have undertaken Lean Six Sigma training which equips them with the skills to improve business processes in order to boost productivity, efficiency and customer service. Lean Six Sigma Training is delivered in levels that are represented by coloured belts, similar to those in martial arts. Those completing the yellow belt training were Sarah Benton, Tansy Crowley-Sweet, Jon Dickin, Rob Elkins, Imran Khalifa, Rebecca North, Hannah Pryce and Tom Rattigan. And going through the white belt training were Danya Defraytus, Lee Crofts, Daniel Lewis, Anna Paterson, Carmen Radway, Aston Russell and Mohammed Sarfraz. The training was delivered by Investors in Excellence, which specialises in helping teams and organisations improve their performance and productivity.